Annual meetings often generate a large portion of an association’s revenue, so why not take advantage of these events and tap them for actionable data and insights? Not sure how to collect annual meeting info? Here are a handful of steps to help. Evaluation of the annual meeting is an opportunity to engage with members and prospects and learn more about them and their needs. Planners and evaluators need to look at it from a strategic standpoint to gain more insight and inform their organizational strategy. By asking the right questions, there is an invaluable opportunity to learn more about what motivates members to attend the annual meeting, dig into deeper questions about content, and strategically lay out a roadmap for where the organization is heading in the future. 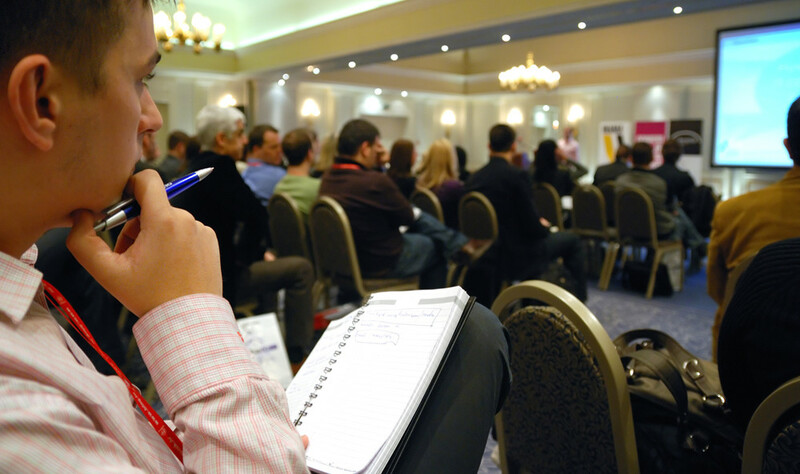 Determine the critical attendee information that needs to be collected. Our advice is to step back and revisit your data requirements. It’s important to know the four or five most important demographic characteristics that contribute to a better understanding of annual meeting attendees and, in the long run, help the organization make informed decisions about what is important to them. Design registration forms and post-event evaluations. A mobile or online registration tool should be used to aggregate and break down demographics and other important data about attendees to help organizers of the annual meeting better understand the makeup of attendees. For post-event surveys, completion rates are higher and data is more accurate with mobile apps because attendees can more easily fill them out on-site at the meeting. Remember that response rates are always better with a captive audience of meeting attendees, plus the data is more immediate. Collect attendee data prior to the annual meeting. Our advice is to come up with four or five well-thought-out questions in a mobile or online registration form. It’s also a good idea to make completion of attendee data a required part of the registration process. But, to keep the registration process from becoming burdensome (and a source of negative feedback), limit the number of attendee data questions to no more than five. Launch the session evaluations. To ensure a high response rate, use a mobile app and ask no more than four or five key questions about the speaker and session content. Make sure that registration demographics are automatically united with session-evaluation responses. Tying this data together can reveal why a particular group of attendees was responsive to a particular speaker and why that group found (or did not find) value in the session content. Plus, when demographic data is already captured during the registration process and integrated with session evaluations, it helps minimize the number of questions on the session-evaluation form. Analyze the data. Outcomes of the annual meeting should be quantified, high-level insights extracted and key trends identified by professional analysts. The outcome of this process is a set of actionable recommendations for improving the next annual meeting. When it comes to determining what is required to make future annual meetings “must-attend” events, many associations find it makes sense to go the external route with independent, third-party researchers versus overworked staff members who return to their desks, find themselves behind in their daily tasks, and have little time to analyze the results. Associations make a tremendous investment—of both time and money—in their annual meetings. At the same time, it is increasingly difficult to attract attendees who must, due to financial and time constraints, justify the expenditure in terms of travel costs, time, and registration fees. Because of these factors, the organization needs to know what worked and what didn’t work so it can improve on next year’s event to give attendees more of what they want, increase attendance, and maximize this all important revenue stream.